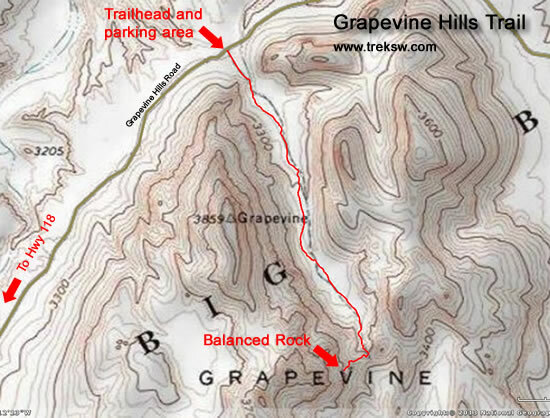 To get to Grapevine Hills Trail, take a left out of the parking lot of the park headquarters at Panther Junction. 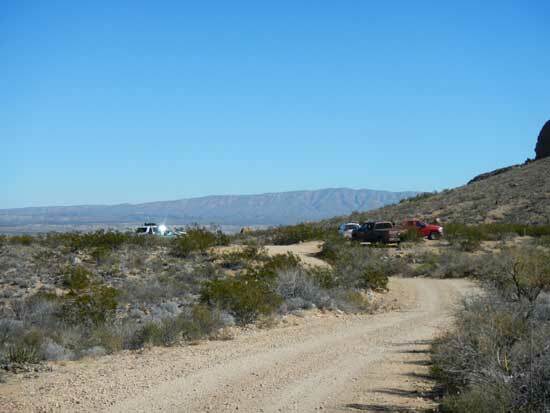 You’ll take a right onto Grapevine Hills Road (29.338323, -103.259339), which will be the first dirt road on the right, just after the turn-off to Chisos Basin. 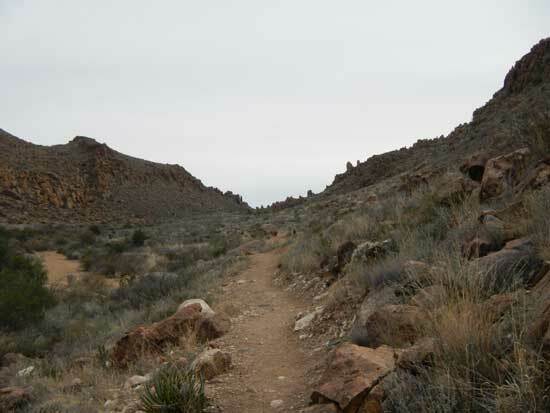 The trailhead is located about six and one-half miles up Grapevine Hills Road, on the right. There will be a small parking lot there (29.410405, -103.207613), which typically stays busy. Grapevine Hills Road is dirt, but generally well maintained. Just take it slow if you’re not in a high clearance vehicle. Some areas can be very rough and you’ll need to be cautious in navigating them. Difficulty: Easy, with a small uphill climb in the last 1/4 mile. It’ll probably be necessary to use both hands and feet after this point. You’ll see the trailhead shortly after passing Grapevine Hills Trail backcountry campsites #2 and #3 on the right, then just after you start driving parallel with the taller hills. 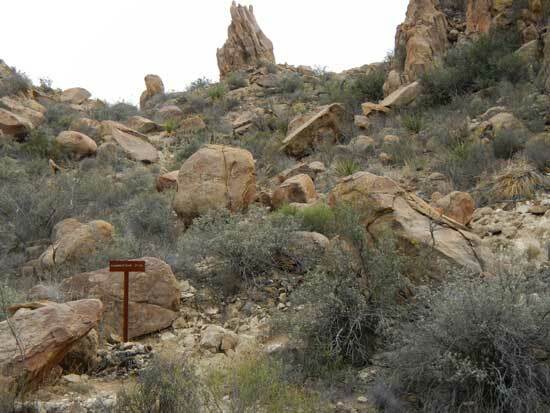 The trailhead is clearly marked with a sign on the right, and is very well traveled. 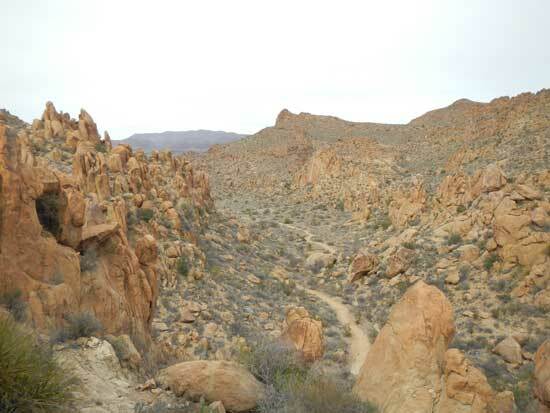 The first 1.75 miles of the trail passes through a narrow valley between the rocky hills. It should be easy on your feet as its mostly sand or gravel, and easy to follow. Near the end will be a marker (29.399902, -103.202159) letting you know that the last 1/4 mile is an uphill climb. You’ll likely need to use your hands to traverse the steep trail after this point. Once you get about halfway up, you can clearly see the trail you just traveled. The parking area is just around the hill on the left. As you climb the last part of the trail, pay close attention to your surroundings. It’s more difficult to find your way back down than it is to find your way up. 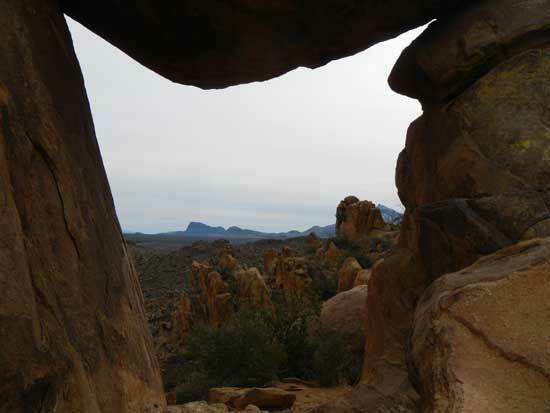 Just before you reach Balanced Rock, you’ll notice an interesting little cave on your left. If it weren’t for all the noisy humans, I imagine some coyotes would love to set up shop in there. 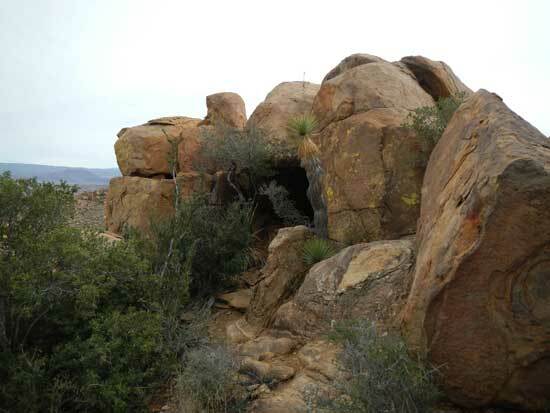 Shortly after the cave you’ll arrive at Balanced Rock (29.398945, -103.202887). 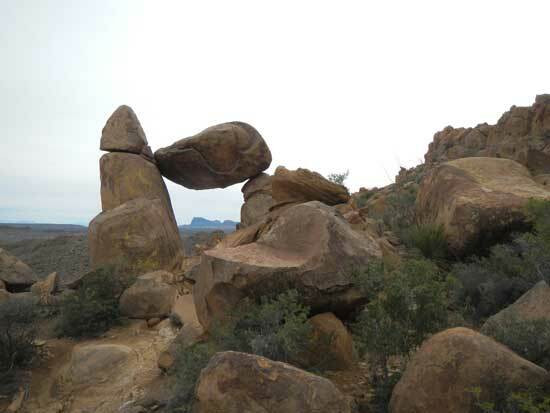 It looks like a strong wind could blow it down, but its been there for thousands of years, balanced perfectly between two boulders. Don’t be hesitant to walk underneath and take a look at the view, it wont smash you. 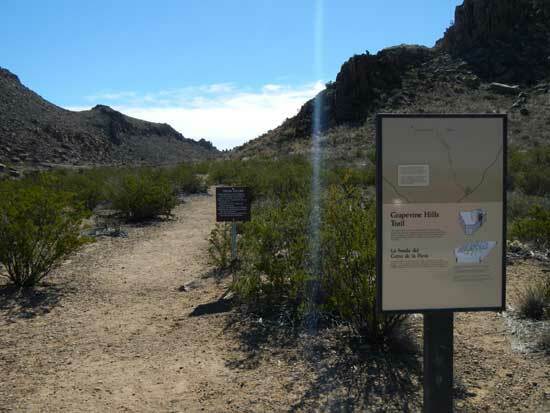 You can walk through and go another fifty feet or so to get a great view of the Chisos to your right and the Sierra Del Carmen at a distance in front of you. This is a busy trail throughout most of the year. The best time to visit is in the colder months in the winter, as in the summer it gets very hot. The lower elevations can be as much as twenty degrees hotter than the higher elevations up in the Chisos.